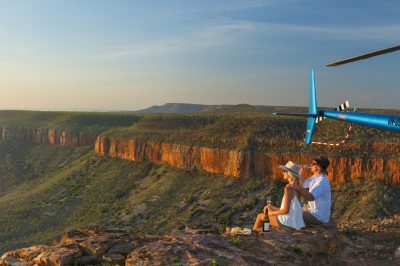 There’s something magic about The Kimberley that draws you in, and never really allows you to leave. 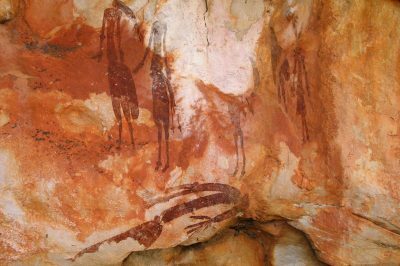 A part of your soul remains behind, touched forever by the remote outback wilderness that’s been shaped and forged over millions of years. 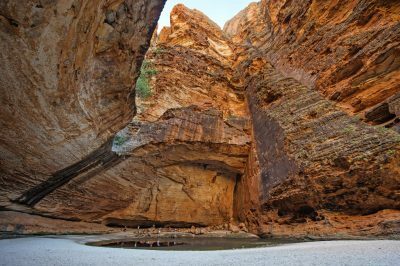 A visit to the Kimberley is a sensory experience like no other. 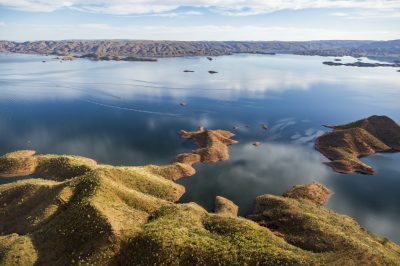 With an area spanning 423,000km² (that’s roughly three times the size of England, or twice the size of Victoria) the Kimberley in Western Australia’s remote north, is a unique holiday destination quite unlike anywhere else on Earth. 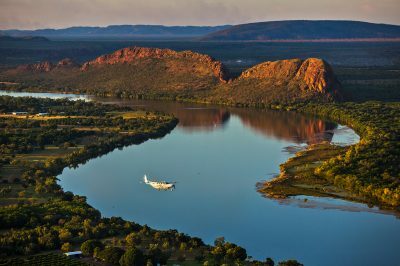 Described as Australia’s ‘last frontier’, the vast unspoiled region evokes an air of mystery and adventure – a step into the unknown. 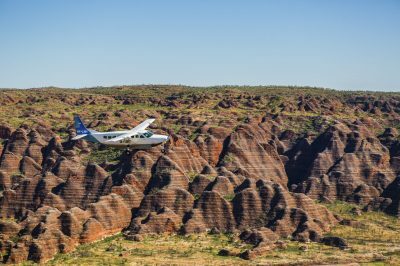 Celebrated for its awe-inspiring scenery and ever-changing landscape, it’s no surprise that over 1.3 million domestic and international visitors come to the Kimberley annually to lose themselves – or find themselves – in our remote landscape of colour and contrast. 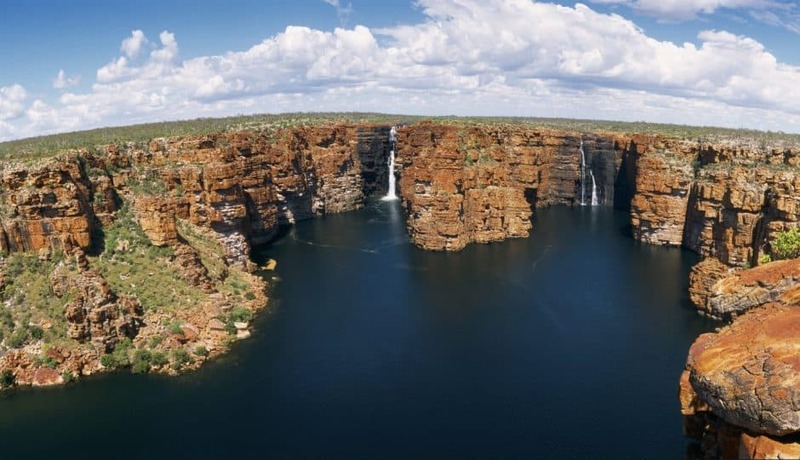 From vast gorges to ancient rock sites, cascading waterfalls and awe-inspiring waterways, rugged coastlines and hidden beaches, the Kimberley region draws on its natural assets to deliver mile after mile of pristine wilderness, connected by red-dirt tracks and iconic roadways. 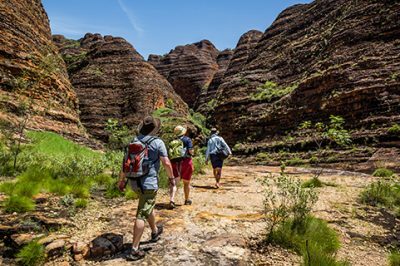 Attractions and experiences in the Kimberley are as diverse and extensive as the region itself – we like to think of the Kimberley as a ‘country within a country’. With such an expansive area, there’s a lot of ground to cover. 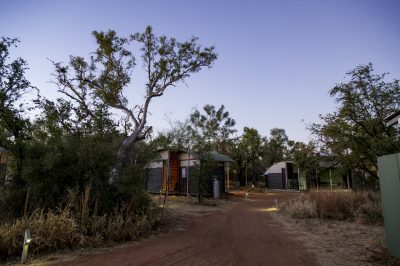 A trip to the Kimberley is best taken at a leisurely pace and spread over a number of weeks to fully immerse yourself in your surroundings and enjoy everything it has to offer. 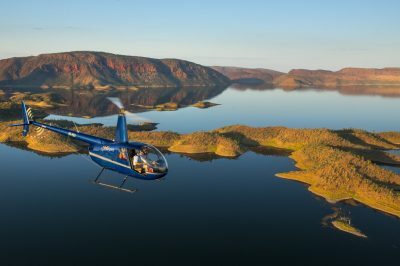 Split into two distinct regions – East Kimberley and West Kimberley – we also enjoy two separate climates, both offering unique experiences. The Dry Season (April – September) is characterised by warm, sun-filled days and clear blue skies. 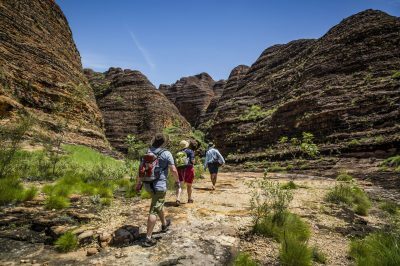 For self-drivers, this means greater road accessibility and a chance to go ‘off track’ to visit some of the Kimberley’s most iconic landmarks and best kept secrets. Waterfall Season (October – March) brings dramatic weather events resulting in breathtaking natural phenomena. 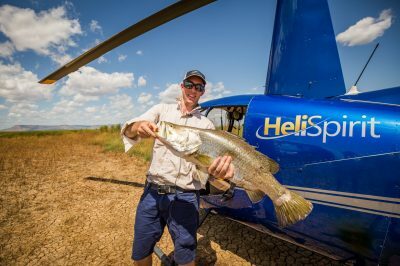 Seasonal rainfall rejuvenates the Kimberley. 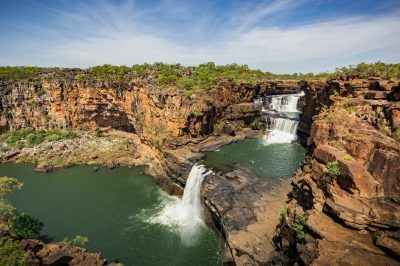 Dry riverbeds and grasslands are restored, famous Kimberley thunderheads herald the arrival of stunning lightening displays, and cascading falls give their mighty annual roar. 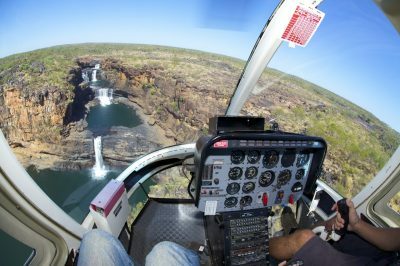 An aerial view of Mitchell Falls or King George Falls is a ‘must do’ in Waterfall Season. 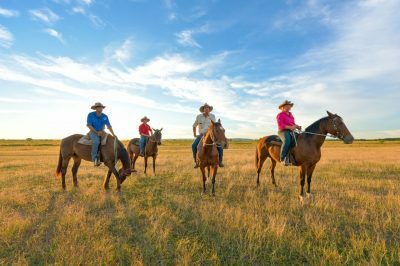 What Can I Expect from a Kimberley Holiday? The simple answer is: everything and anything! 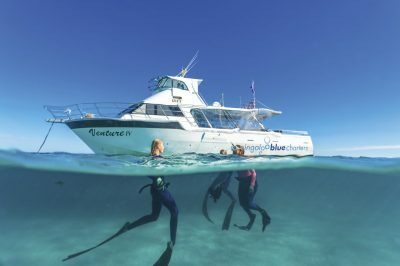 Whether you’re seeking a relaxing resort-style beachside holiday, an overnight eco-camping adventure, or a fishing holiday with a difference, the Kimberley ticks every box for relaxation, recreation, adventure, thrill-seeking, exploration, and indulgence. 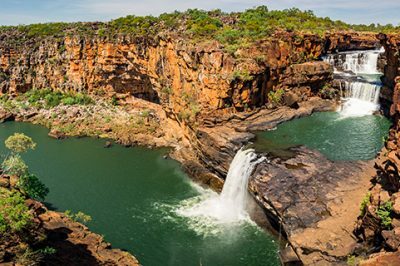 With current global conditions and unrest influencing the way people choose to holiday, the Kimberley offers a remote haven far removed from the rest of the world. 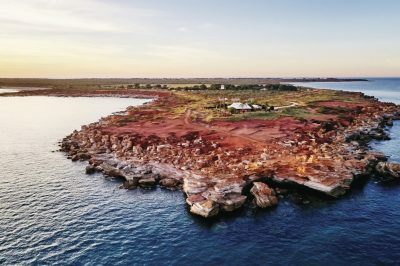 With a long-standing reputation for safety, community spirit, and mateship, the Kimberley proves it’s a great time to holiday in Australia … in a place that makes you feel you could be anywhere in the world. 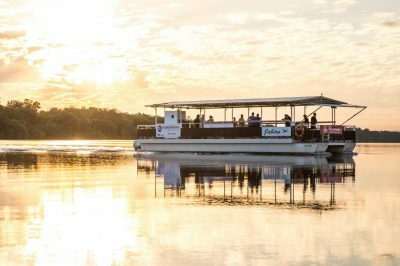 Drawing on its deep spiritual significance, ancestral history, abundance of flora and fauna, iconic natural assets, unique weather patterns, and a climate that defines the terrain, a trip to the Kimberley will leave you with memories to last a lifetime. 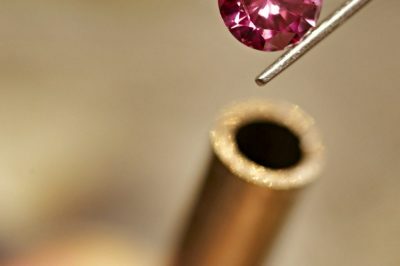 We invite you to experience the real Kimberley. To surround yourself with the unique magic of our wild and beautiful home. The northern most of Western Australia’s nine regions. The Dry Season (April-September) is best for accessibility with open roads and full tour operation. Waterfall Season (Oct-March) features a monsoonal climate with stunning landscapes, spectacular lightning displays and thundering falls. 335 days of sunshine annually with temps ranging between 24-39 during the day, 10-25 degrees overnight. How long have you got?! While many people take several months to explore, not everyone has that length of time available. 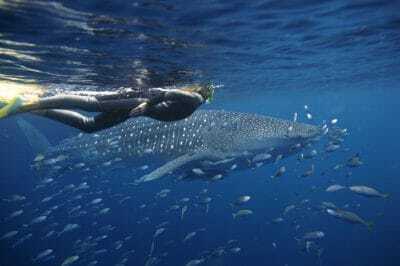 For a truly immersive Kimberley experience, we recommend a minimum of two weeks. 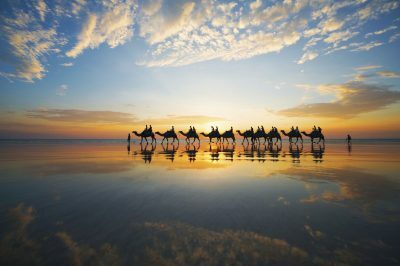 Remarkable natural assets, stunning scenery, dramatic geological formations, rugged coastline, 40,000-year-old ancestral culture.